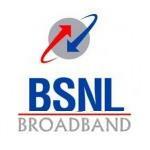 Bharat Sanchar Nigam Ltd. has announced the launch of new 256 Kbps Unlimited Broadband Plans. BSNL’s 256 Kbps Unlimited Broadband Plans are already availabe in Gujarat, AP, Punjab, Haryana and Kolkata at Rs. 625 per month, however the new Broadband Plan which BSNL has announced will be applicable in all the circles except Hyderbad (for Hyderbad also a plan is available which is discussed later in the article). The new BSNL Broadband Plan – ‘BB Home UL 499’ is available at a monthly charge of Rs. 499 and provides Unlimited Usage with bandwidth of 256 Kbps. ‘Annual Payment Option’ is available for this plan, those who want to avail Annual Payment Option need to pay Rs. 4990. This plan is applicable for all circles except Hyderabad. For Hyderabad circle, the new plan is ‘BB Home UL 399 CS2’. It is available at a monthly charge of Rs. 399 and provides Unlimited Usage with bandwidth of 256 Kbps. ‘Annual Payment Option’ is available for this plan, those who want to avail Annual Payment Option need to pay Rs. 3990. BSNL has launched these new plans as a promotional offer for 90 days upto 30th November. However we expect that these plans will be carried on by BSNL even after the promotional period. PS : These plans might be available in some circles after few days. So please contact BSNL Broadband Customer care of your respective circles.